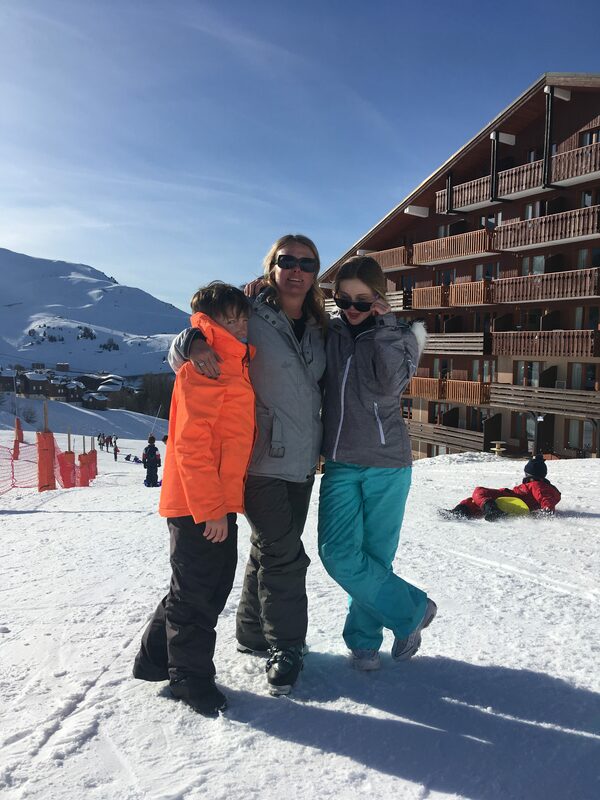 This year, our annual ski holiday was in La Plagne Soleil. This is what we thought of it. Last year, when we went to Val Thorens, we decided to go by Eurostar / SNCF, this turned out to be a brilliant idea. We loved that we got on a train in London and could get off at the base of the mountain, and instead of a long transfer up to the mountains from the airport, we were dealing with 30 /40 minutes. This year, we went overnight from St Pancras, arriving at 6 in the morning, and we were in our apartment in La Plagne Soleil at 7am (we’d handily booked from the day before). We then returned on the night train, getting back to London at 7am. In my humble opinion, by far the best way to get to The Alps. 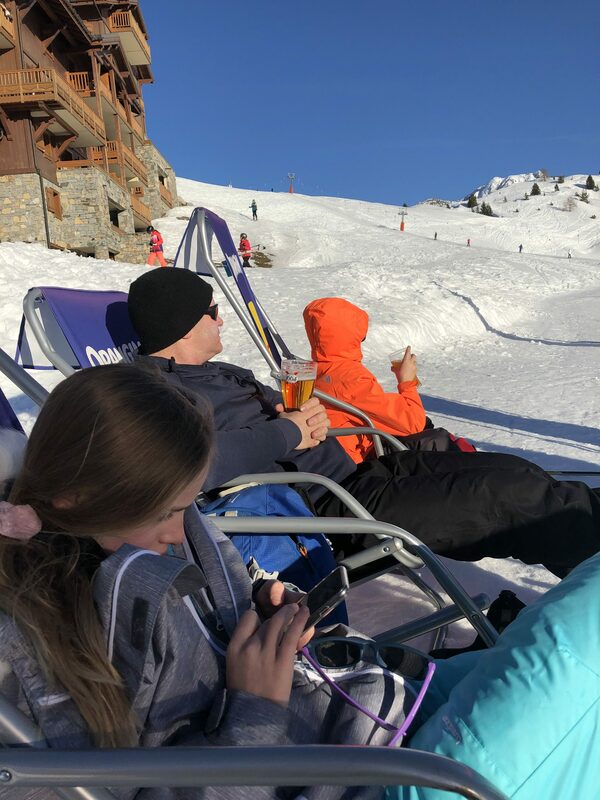 This year, we used a company called Ski Solutions, who booked us into Les Granges du Soliel, La Plagne Soliel, which is part of the CHP group, which run numerous apartments across The Alps. We loved this property: The apartment was spacious, well equipped, comfortable and had fantastic views. Added to this, it was ski in / ski out, which is always a bonus with children, as it sits right on the slopes. In the evenings, we loved using the spa facilities with a pool with floor to ceiling windows overlooking La Plagne Soleil. There were also hot tubs, saunas and steam rooms. The perfect way to unwind after a day on the slopes. I’d highly recommend where we stayed. La Plagne is part of the Paridiski, which incorporates La Plagne, Les Arcs and Paisey Vallandry. 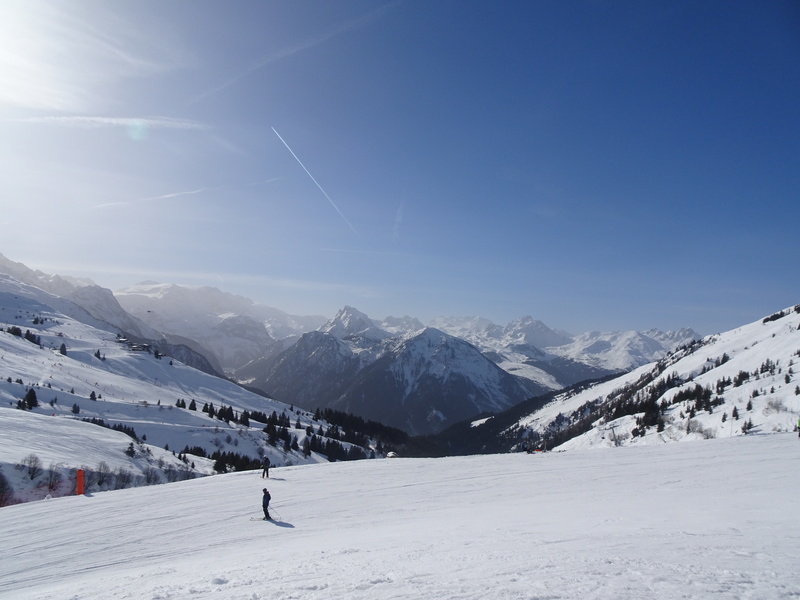 The area has 425km of slopes – that’s plenty for a week’s holiday! In La Plagne itself, there is 225km of slopes, with about 3/5 being blue / easy and the rest are either intermediate or advanced. This is a good mix for everyone. We also found there was plenty of off-piste in the form of gullies and natural half pipes to get stuck into! I also enjoyed the tree-lined routes; it’s certainly scenic. The bottom of Hari-Kiri run! Our favourite run was definitely Les Sources, a red run. Not only was it challenging, but really scenic as we whizzed past the outcrops of the mountains. We also loved Hari-kiri from Les Verdons, which was definitely steep and challenging, but with a great cafe at the bottom for refuelling! For a beautiful tree-lined run, the route down to the bottom of La Roche lift (Andre Martzolf) and also down to Montalbert (Bois Crozelin) are both good runs to do. Obviously, they are at a lower altitude, so prone to slush and ice! Les Inversens sits at the top of the Roche de Mio lift. It has the most spectacular views, and the food isn’t bad either – I had the most delicious French onion soup here. La Plagne Soleil is a small place, with just a handful of restaurants. 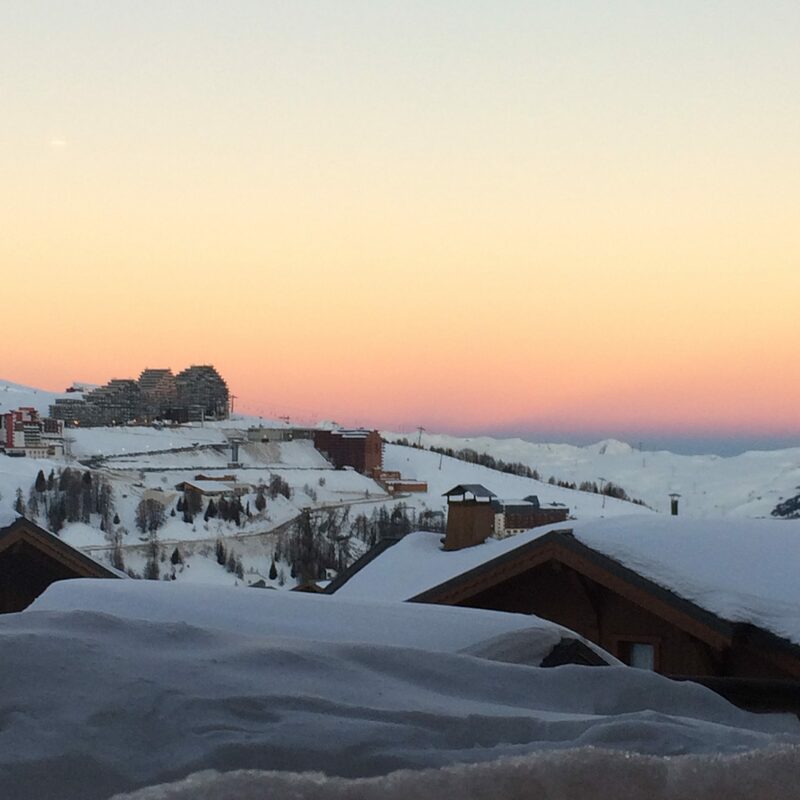 There are more over the slope in La Plagne village, but we highly recommend booking. 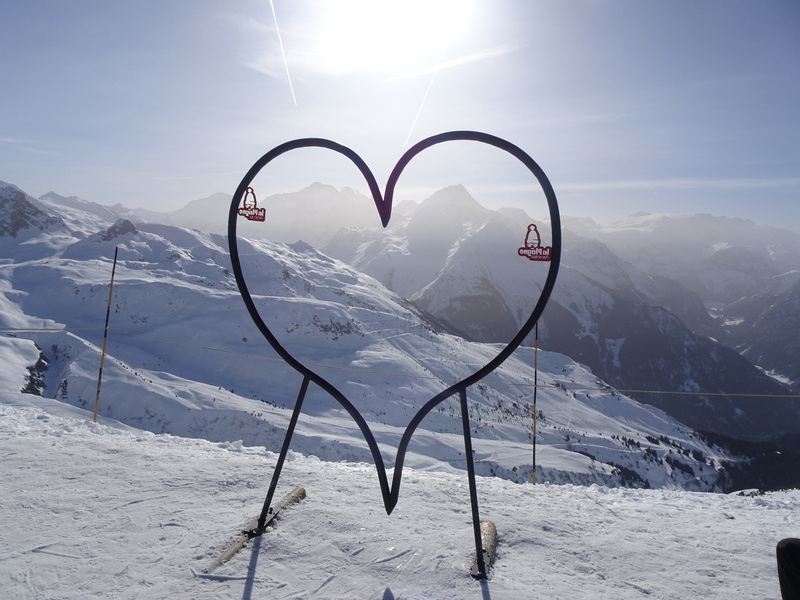 There is some choice in La Plagne Soleil, and plenty of places to find all the Savoyard favourites of fondue and Pierre chauds. However, we did have two favourites. We loved Restaurant 4810. It had a varied menu, with an accompanying kids menu, so everyone was happy. My husband and I had oysters as an aperitif, then we enjoyed scallops, goat cheese salad, tuna and chicken burger, all absolutely delicious. The food was the best we sampled in La Plagne Soleil, and definitely worth a trip. The kids were quite keen on a Nutella crepe to take home after from the Creperie Cap Nord too! There is no Folie Douce in La Plagne, which is no bad thing. But we do all quite like to go for a drink after skiing, and possibly dance … fear not! We found a place! La Bergerie has a live singer and a DJ. Expect dancing on the table from all ages from little kids up to their grandparents! Loads of fun! In both Les Arcs and Val Thorens, we used Ski New Gen, who I think are possibly the best ski school I have used. However, when you are great, you are also popular and despite trying to book last October, they were already full! So we turned to another ski school, Oxygene, who we had used in Val D’Isere. 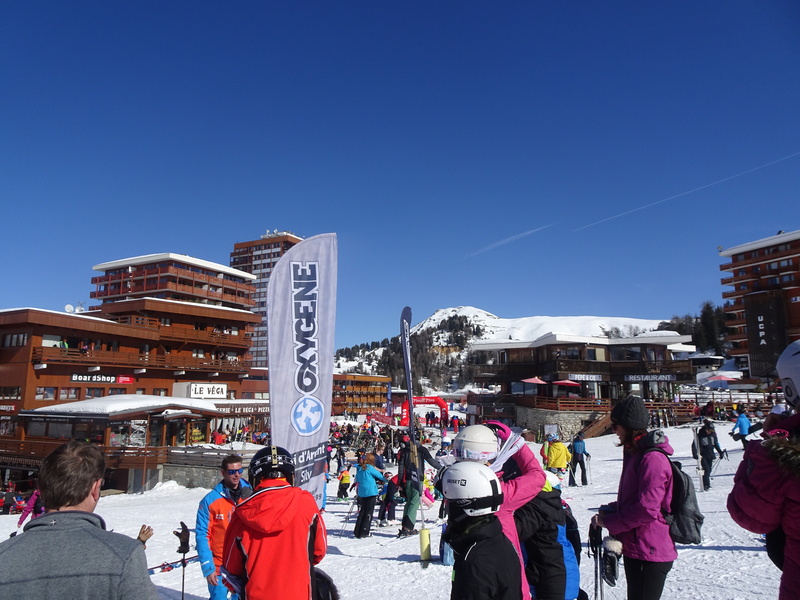 Oxygene are a well known ski company and operate in many of the bigger resorts. They are slightly cheaper than some of the others, but they do operate slightly larger groups. Both my children were in groups of 12. 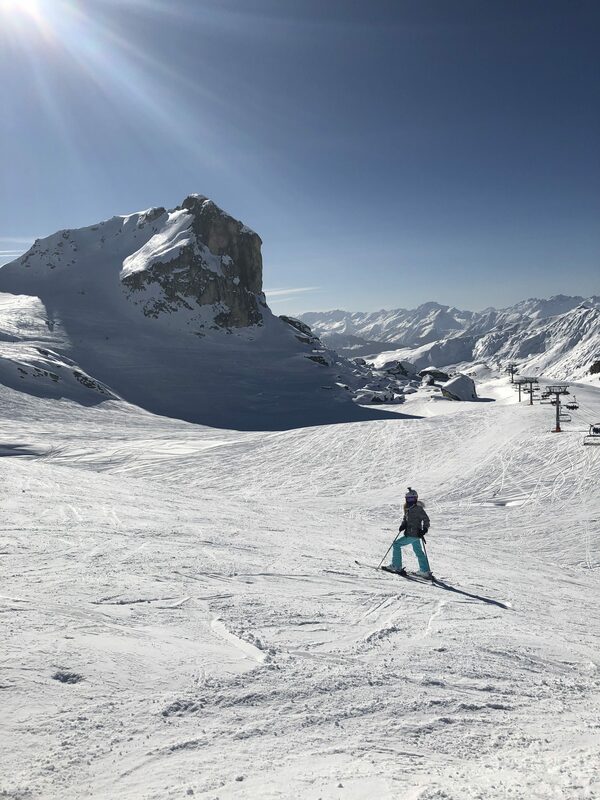 They found the skiing good, and the tuition was good – both developed over the week, particularly my son and as a result, his confidence rocketed. However, due to the class size, there isn’t much chance to extend the kids and they do stick to the basic programme. That said, it’s a great basic programme. La Plagne Soleil is a small satellite village of La Plagne, mainly made up of apartment blocks and handful of shops and restaurants. 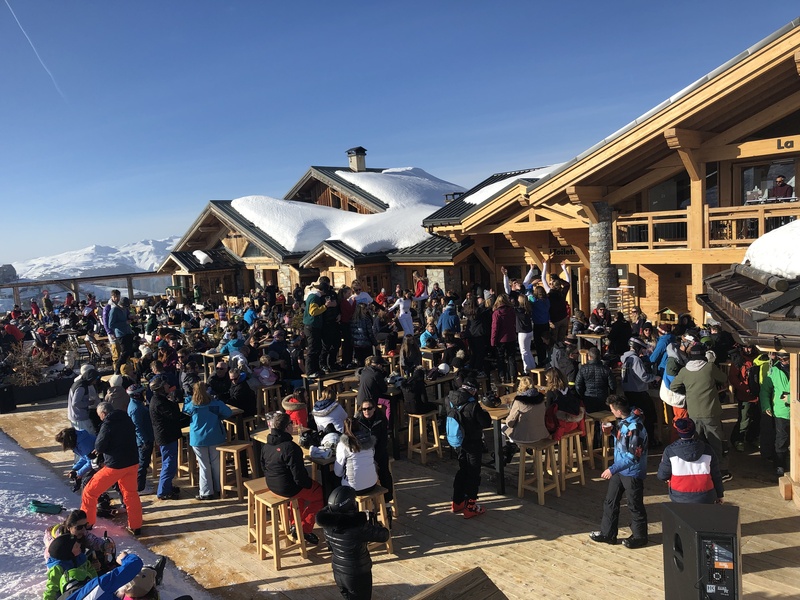 It certainly isn’t the place to go if you are after a wild nightlife, in fact, it can feel a little soulless, although there is a bus that runs to other parts of La Plagne and taxis serve the resort. That said, with a family, you’ve got everything you need – a nice touch was that sledges are always left in the main square for kids to play about on. 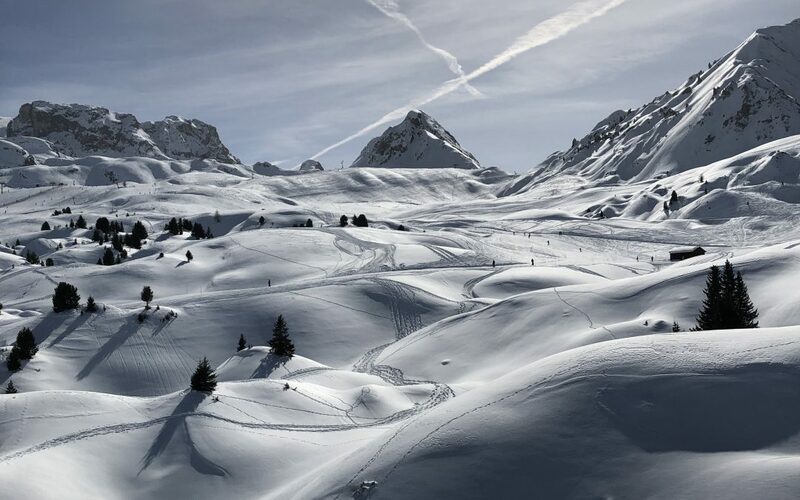 However, the very best thing about La Plagne Soliel is that it is part of the Paridiski area which has phenomenal skiing.